Dr. Knowlton is fellowship-trained and board certified in diagnostic radiology with additional qualification in Pediatric Radiology. 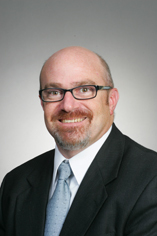 His expertise includes Pediatric Radiology, Pediatric Cardiac imaging, and Musculoskeletal imaging. After Completing a Masters degree in Public Health (MPH) at the University of Utah, Dr. Knowlton attended Medical School at the University of Utah. He received his Diagnostic Radiology training at the University of Wisconsin in Madison. His undergraduate studies at the University of Utah are in Biology with human emphasis and a Minor in Chemistry. Following pediatric radiology fellowship training, Dr. Knowlton worked 7 years in Kansas City, MO at Children’s Mercy Hospital and Clinics. While there, he received the Teacher of the Year Award four years in a row from pediatric radiology trainees. He also was appointed Chief of Cross Sectional Pediatric Cardiac Imaging, where he pioneered the implementation of Pediatric Cardiac CT, and new Cardiac MRI sequences. Additionally, Dr Knowlton directed the medical student radiology rotation in the Pediatric Radiology department for six years. Professional affiliations include Radiological Society of North America (RSNA), Society of Pediatric Radiology (SPR), North American Society of Cardiac Imaging (NASCI), and Alpha Omega Alpha Medical Honor Society.